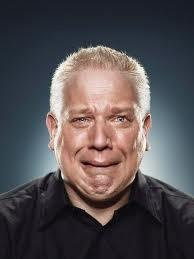 Glenn Beck the demented bigot that made Bill O'Reilly look like a wussy liberal and Charlie Sheen seem like a perfectly well-adjusted human being; will finally end his programme on FOX News. It was becoming a problem for a fair and balanced news service [that some may regard as slightly right leaning] to give airtime to a man who accused President Obama of being a racist against Caucasians. Advertisers stopped buying space during his broadcast and that, coupled with Beck's increasing insane accusations and conspiracy theories which angered everyone from Jews to charitable organisations are believed to have contributed to his "decision to leave". Tron: Legacy stayed in theaters long enough to establish Joseph Kosinski as the highest-grossing first-time director of a live-action film in Hollywood history. Legacy's almost $400m global gross eclipsed the record the great J.J. Abrams set for M:I-3 a while back. While the movie's high marketing budget and premium 3D pricing mean Disney won't need to buy an entire bank to hold all the profits; the net gross and high DVD/BD pre-sales have secured a continuation to the franchise which Kosinski was fairly certain would happen anyway what with all the threads being set up. The record-breaking director is now constructing a new sequel with original writers Edward Kitsis and Adam Horowitz. 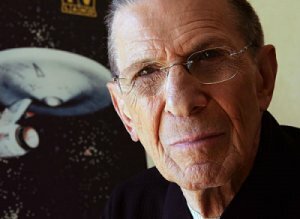 Leonard Nimoy is not apparently retiring from acting like Connery did. This year he voices Sentinel Prime on Transformers: Dark of the Moon. I approve of this. His turn as Galvatron, the successor to Megatron in the 1986 animated Transformers movie was pitch perfect and is an excellent choice to voice this oft-mentioned but rarely seen character. Nimoy is also speculated to return as William Bell in Fringe now that the show has been renewed for a 4th season. The Expendables 2 will hit theaters on August 17th, 2012. Most of the cast from 2009’s original is expected to return but Sylvester Stallone is still in search for someone to replace him as director. Sly also wants Bruce Willis to be a “super villain”. Interestingly The Expendables 2 will be duking it out with G.I. Joe 2, slated for an August 10th release from Paramount. Re: Beck - Who will Jon Stewart lampoon now? Never mind Crazy Old man Beck cause that's all he ever was! if the Expendables 2 comes out here the same week as GI Joe 2 , which will the Colonel decisde to see first....My grief it's the Sophies choice of Action Pictures! Jon will find another nutjob to lampoon. Watch his response the very day of the announcement. Mr. Beck meant the world to Mr. Stewart, based on the percentage of air time given over to slagging him off. I haven't seen the first Expendables nor G.I.Joe... I blame the Colonel.